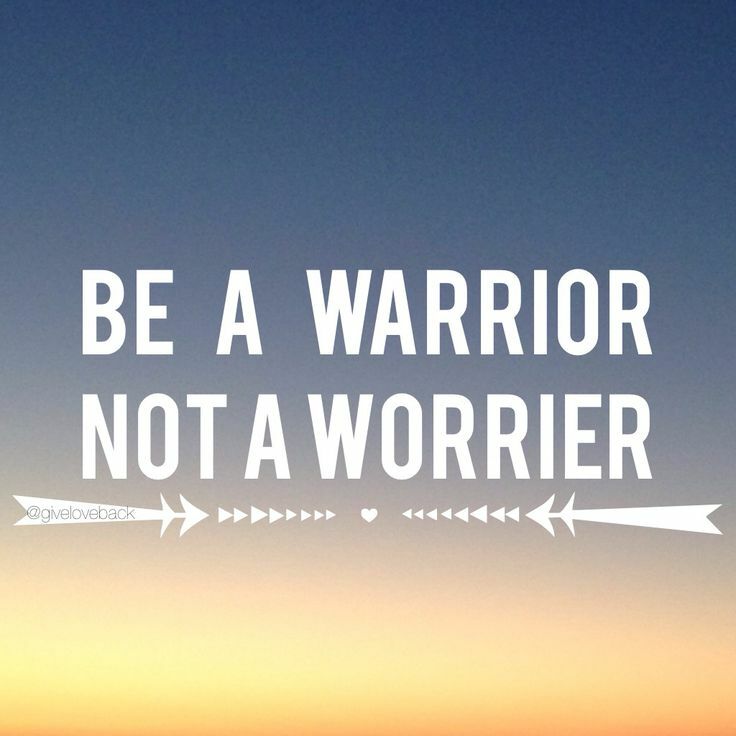 I agree that you can be both a warrior and a worrier. In fact, many times, worrying leads us to be a warrior because we want to overcome our fears. However, you need to remember, Mary, that it is possible to get through your anxiety, it’s not WHO you are, it’s what you go through. I don’t think worrying makes us weak, I think letting our anxiety control us is what makes us weak. We need to stand up to our fears and remind ourselves that we can get through this! Right if it doesn’t control us, it’s all good! If there were no worries in the world, or no anxiety for that matter, this world would be awfully strange. My therapist has told me several times that anxiety is not something to be embarrassed about. It’s more something to be content with because you’re aware of everything surrounding you. Yes, obviously it gets to be too much sometimes, but it helps in the long run. I mean, if I didn’t worry about that linear algebra test I took today, I wouldn’t have studied for it. You can most definitely be both.